The Donkey Sanctuary employs more than 600 staff in the UK, including ranging from grooms to vets, scientists to researchers, chefs to fundraisers and electricians to fabricators. 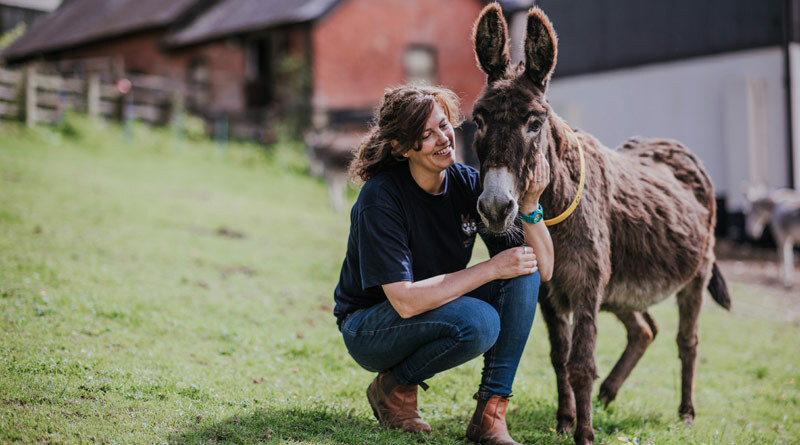 International charity The Donkey Sanctuary has received the royal seal of approval for its commitment to the learning and development of its staff. It is the second time that the Donkey Sanctuary has been commended by Princess Anne, The Princess Royal, for the Princess Royal Training Awards. Other organisations to be recognised this year include John Lewis Partnership, GlaxoSmithKline and the Royal Air Force. The charity and fellow award recipients, who were all subject to a rigorous assessment process, will receive their awards from The Princess Royal at a ceremony at St James’s Palace in London on October 31. The Donkey Sanctuary has initiated a strengths-based development strategy and uses a talent map and skills analysis to pinpoint individual learning needs to develop its staff. This resulted in a significant increase in internal promotions in 2017, from 33% to 42%. It is the third year of the Princess Royal Training Awards, delivered by the City & Guilds Group. Each of the 90 applications were assessed against three Hallmarks of Excellence by the Princess Royal Training Awards Commission, which consisted of Princess Anne and seven leading figures in the business and training community. The Donkey Sanctuary employs more than 600 staff in the UK with 523 based in the South West. Roles range from grooms to vets, scientists to researchers, chefs to fundraisers and electricians to fabricators. The charity also funds more than 220 roles internationally, in countries such as Ethiopia, Mexico, India and Kenya. ← Forelimb flex tests: Should they matter in horse sales?